Harper Sloan has done it again. 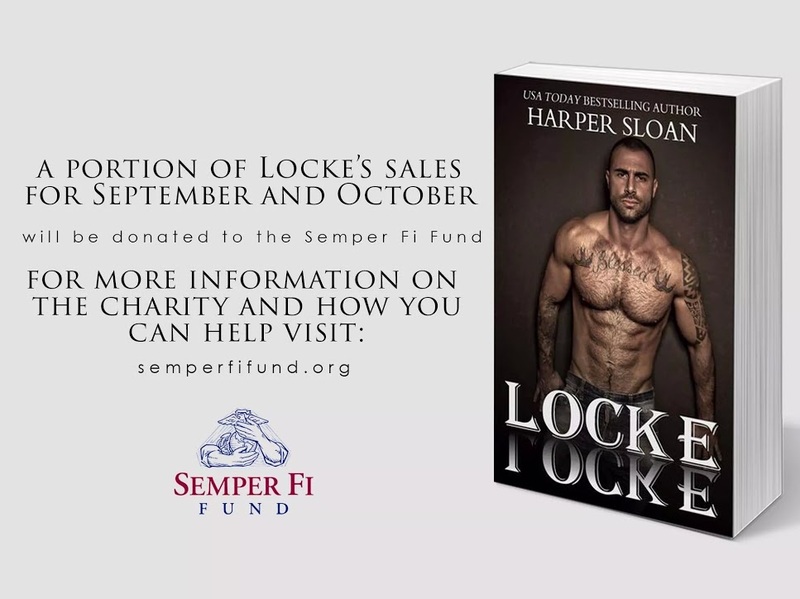 Her Corps Security men are some of the most loving, alpha, dream worthy men I have read, and Maddox Locke is no exception. We have seen glimpses of Maddox in the previous books, and the mystery behind him was well worth the wait for this book . Maddox had always been the silent warrior, the one who always helped when it was needed, and there was always something behind him that made me wonder, what happened to this man…..well, lets just say, that what this poor man had to deal with in his past was so much more than I had ever expected. While this book is just as hot as the previous ones, there was something else. To finally find out what had happened to this man, not only personally – but also what he went through while serving in the military….I wish I could do so much more than just be a reader, Harper Sloan is one writer that is able to bring a reader into the story, making you feel like you are just as much as a part of the story, not just reading it…I felt like I was living it with them. Maddox has his reasons behind trying to deny his feelings for Emmy, while we don’t know what it is, or why he is fighting it so hard, when the story unravels, you can’t help but wish you could go into the story to hurt those that have hurt him. Emmy’s life hasn’t been any easier, and to find out what she has had to deal with and to see her fight for someone else, when I’m not sure how I would have been able to deal with what she lived with….she is as strong as those alpha men, just like all the other ladies…..it is a perfect group of strong, but yet damaged men – finding their own strong, but damaged women. If you haven’t had a chance to read this series, please do so. Start with Axel and work your way up. Not only will you fall in love with these men and women, the kids are also such a great addition. This might be the end for the Corps men/women, but I will always remember these guys, and the hints of what is to come with the kids…..sign me up for that series as well. Harper, I just want to say thank you for allowing us all to read about these great characters and to feel like they are real people, fighting and finding their happily ever afters….life is not always easy to deal with, but to be able to see what happens to other people if they are real or not, to me they are real and they are my friends. Harper lives in small town Georgia just a short drive from her hometown of Peachtree City. She (and her 3 daughters) enjoy ruling the house they dubbed ‘Estrogen Ocean’, much to her husbands chagrin. Harper has a borderline unhealthy obsession with books; you can almost ALWAYS find her with her eReader attached. She enjoys bad reality TV and cheesy romantic flicks. Her favorite kind of hero–the super alpha kind! Posted in Author Biography, Blog Tour Stop, Book Review, Links, Penny Pam, Synopsis. Bookmark the permalink.